There's something spectacularly refreshing about a young upcoming pop star with something important to say. 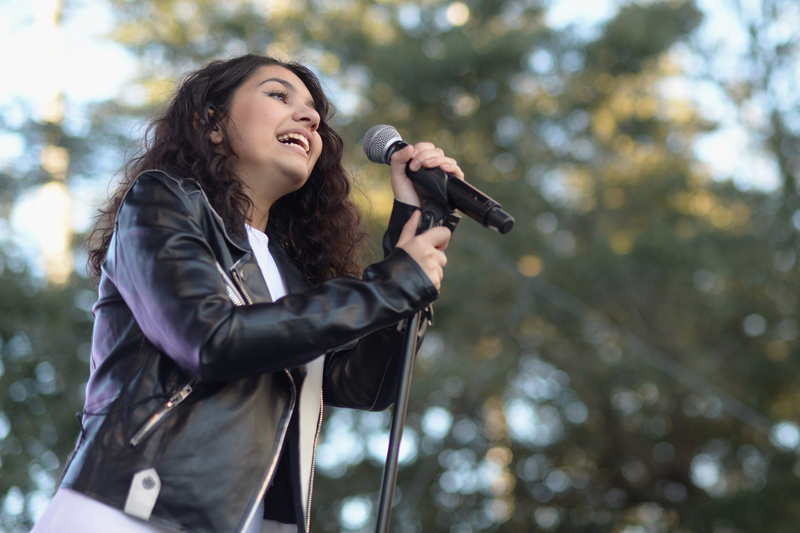 Alessia Cara, the voice behind 2015's epic "anti-partying" party song "Here," might just be that up-and-comer. While "Here" was the perfect pushback to superficial social interactions, her new single "Wild Things" is a love letter to a generation that won't apologize for being themselves. The song is a celebration of youth culture, free-thinkers, and people who have no qualms with breaking the mold — something that both the lyrics and the recently released video make very clear. Cara's new video for "Wild Things" will take you back to your most carefree days, and it's the perfect complement to lyrics that remind you not to put those carefree days in your review mirror. After all, don't we all deserve a chance to find where the "wild things are?" 1. "Let 'em sell what they are sellin', there are no buyers here." 2. "No mistakin', we make our breaks, if you don't like our 808s, then leave us alone, we don't need your policies." An 808 is a police code for "disturbing the peace," and Cara has no qualms about going against the grain. 3. "I lose my balance on these eggshells you tell me to tread, I'd rather be a wild one instead." Because being just like everyone else is just slightly boring. 4. "Don't wanna hang around the in crowd, the cool kids aren't cool to me." If only we could have been as confident and self-assured as Cara was while combating high school peer pressure. 5. "We will carve our place into time and space, we will find a way or make a way." If there are barriers, break them down — or break right on through them. 6. "Hey find your grace, don't you hide your face." And don't let anyone tell you to do otherwise. 7. "Find me where the wild things are." I don't know about you, but I'm feeling inspired.